We examine the role of Maine women in the fight for social change – from voting rights to issues in today’s headlines. We’ll also discuss the experience of Franco-American women in the state and hear from an organizer trying to revive the Equal Rights Amendment. Eliza Townsend, Executive Director of the Maine Women's Lobby. Anne B. Gass, author of Voting Down the Rose: Florence Brooks Whitehouse and Maine's Fight for Woman Suffrage. 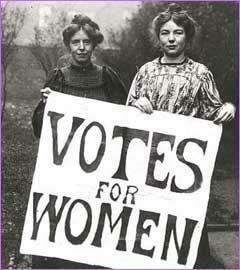 Listen to our conversation about Maine women and voting rights.